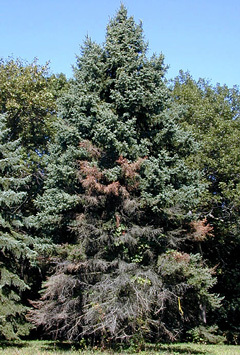 A large part of professional tree care involves protecting trees and other plants from the ravages of disease. There are several diseases in our regional and national environments that can be damaging or lethal to landscape trees, shrubs, and plants. 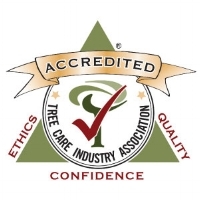 The certified arborists at Nels Johnson Tree Experts know that accurate diagnosis is essential to formulating the most effective treatment programs. For nearly 90 years, our team has helped residential, commercial, municipal, and educational property owners and managers treat and maintain the health and beauty of countless trees and plants. While nutrient deficiencies are the most common causes of tree and plant decline, early diagnosis and treatment can successfully restore vitality. 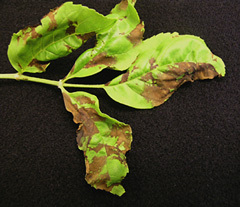 Additional tree disorders are caused by insects, fungi, viruses, and bacteria. The team at Nels Johnson Tree Experts provide proper diagnosis, and the application of effective treatment techniques restore the beauty and vitality of affected trees and plants. Call Nels Johnson today for an expert diagnosis and treatment program for your landscape trees, shrubs, and plants.